Coworking spaces in Sydney have been in huge demand courtesy the increasing number of entrepreneurs and individual business owners in the city. Small startups from Sydney have been helping in forging the future of Australia and some great shared office spaces in Sydney have been equally helpful for making them sustainable. From renting hot desk, a permanent table or an entire private office the possibilities for coworking in Sydney are endless. 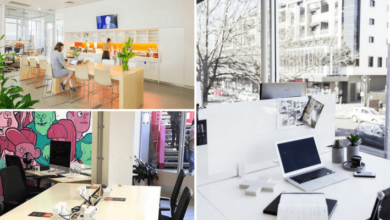 The city has a lot of affordable shared office workplaces starting from as low as $10 a day making them practically free coworking spaces of Sydney. 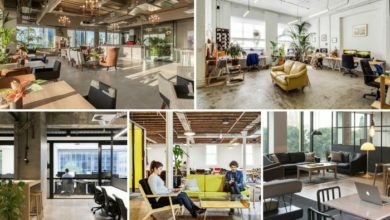 People have grown affectionate to the trend of coworking in Sydney and there has been an upward rise in the trend among individual workers. These entrepreneurs and small business owners used to work in cafes or from home itself which hindered their creativity. We can all agree all the hours spent working in cafes aren’t exactly productive and there is no way one can build a network there. Similarly working from home too may sound one hell of a good idea where you may find the comfort of working by yourself but there is always more than one distraction nearby – your family, your pets or even something as small as a TV. 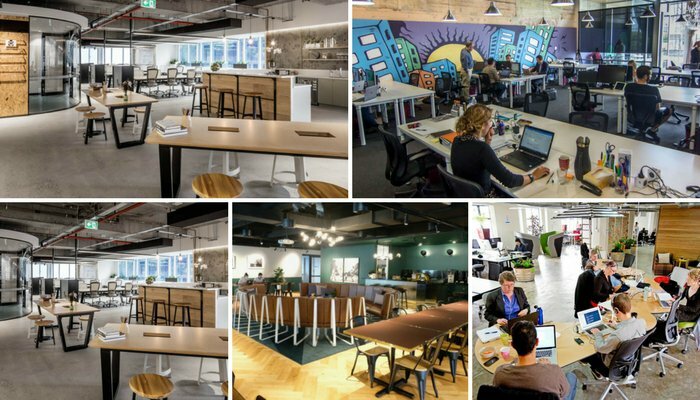 Sydney’s coworking spaces have been growing ever since and are sure to rise further. 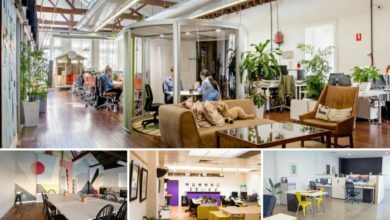 Here’s a list of some famous coworking spaces based in Sydney that attract a lot of people. 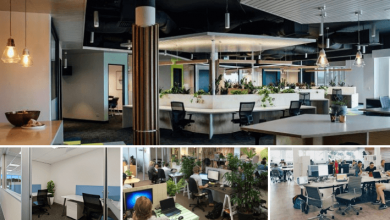 You may browse through the list and get to know the membership plans of each of these shared office workplaces. One of the best co-working spaces in Sydney CBD, Gravity Coworking has garnered quite some love from the people of the city. With amenities like free internet, dedicated rooms for client meetings, and well-equipped boardrooms, the place has a lot going on for itself. They also have two dedicated showers in case you like to use one. There are lockers for keeping your belongings and you can also use the bike racks if you ride a bike. Membership Fee: They have part time, full time and casual membership options which you can choose from depending on your needs and budget. The casual membership at Gravity coworking Sydney is kind of a daily pass and comes for $100. With a full-time membership at $900 a month, you can get the best experience of coworking in Sydney. The full-time membership gives you 24/7 access to the place and a dedicated desk along with using the meeting rooms 5 times a week. The part-time memberships range from $250 to $650 and can give you access to the place 1 to 3 days a week. Another leading name when it comes to cheap coworking space in Sydney is Your Desk. It has two locations in the city – one coworking space is in Sydney CBD and the other one is in Surrey Hills area. They have personal offices for small teams ranging from 4 to 10 people which is as good as getting yourself your own dedicated serviced office. They boast of office space that can rival your own living room and they have focused on comfort like no other place on the list. Address 1 = 1-3/204 Clarence St, Sydney. Second Location = 5/104 Commonwealth St, Surry Hills. Getting a full-time membership here costs $650 for a desk and $3000 for an office or a dedicated cabin. The membership gives you 24/7 access to the place along with unlimited internet, showers, bike racks, meeting rooms and other amenities. Part-time access costs $100 and will give you limited access to the place and the meeting rooms come to you at a discounted rate. They also have a virtual membership where you can work from home but can use the meeting rooms if you meet a client. It costs $75 a month which makes it virtually a free coworking space in Sydney. 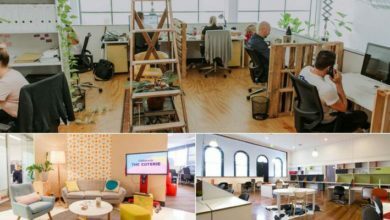 Another great coworking space located in North Sydney, Work Inc. isn’t just a shared office space but a community in itself. Home to growing talent from web designers to developers and artists, they take care of the hassle of setting up your own office so you can concentrate on growing your business. A membership here will give you access to amenities like unlimited internet, printing facilities, stocked kitchen, bike racks and more. 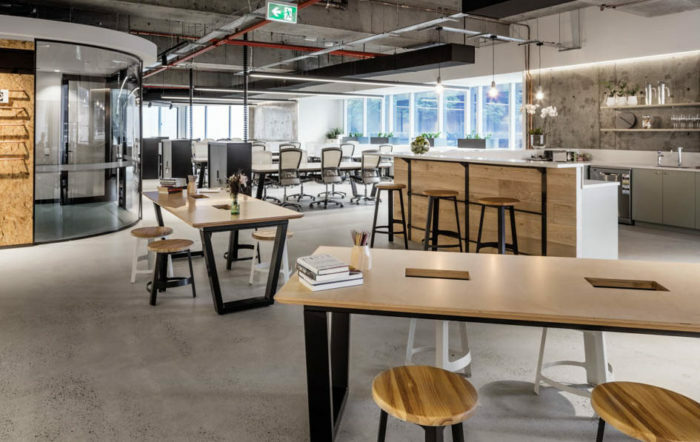 Membership Price: At this shared office space you will have to spend $150 a week for a permanent desk which seems to be a standard price for Coworking in Sydney. They also have private offices that can accommodate a minimum of four people which will cost you $800 a week. Do keep in mind that all these prices are excluding GST. Hub is a coworking space in Sydney that has gained quite some attention from the entrepreneurs of the city. Luring in the people with amenities like bike racks, printing facilities and access to shower space, this cheap coworking space in Sydney has a lot to offer. The attention to detail can be seen in every aspect of this space as they even have a meditation space for their members. They believe that a membership here will prove to be 30% cheaper than other places over a course of a year. A dedicated office here will set you back $600 per person which can be used to accommodate 1-20 people. It comes with 24/7 access and they even provide you with customisable tech and office signage at no extra cost. A full-time dedicated desk at Hub Coworking Space Sydney costs $650 and comes with perks like a mailing address, 24/7 use and access to meeting rooms. Flexible desks are priced at $300 and $550. Another unique membership option is to get a $30 connect membership that will enable you to attend events and grow your network which makes it an almost free coworking space in Sydney. With as much as three locations in Sydney itself, this is one of the most famous coworking space in Australia. You will most likely find a WeWork office space in your city that suits you. Boasting of the most well-designed spaces, they are without doubt a good option to consider. 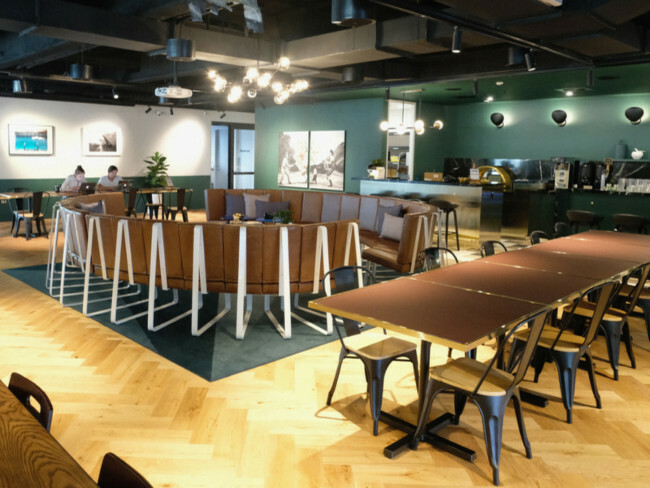 The best thing about WeWork Coworking Sydney is that they also give you access to its dynamic community which consists of people from various fields of business. Contact: 1. +61 2 8320 1100. Membership: We Work provides you with tons of options when it comes to memberships like any other startup office space in Sydney. Their hot desk membership comes in at $500 a month which lets you move around and work at different desks each day. However, if you want to leave your belongings at the office itself then the dedicated desk sounds better for you which is priced at $850 a month. If you like privacy or having your own dedicated office then you need to shed out $1150 on a monthly basis. 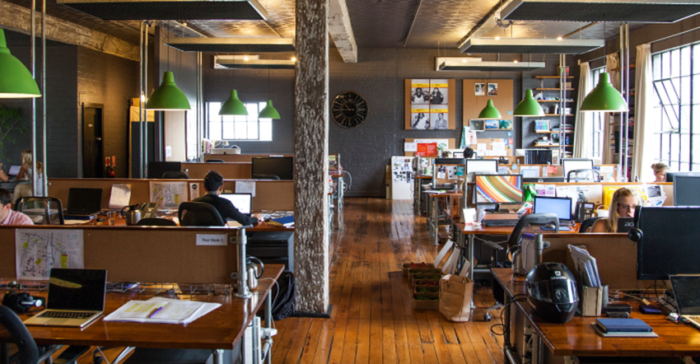 Keeping your business needs at heart in Sydney is one of Melbourne’s popular shared office space named Space & Co. This coworking space of Sydney is probably the most easily accessible withTown Hall train station right next door and plenty of parking available outside. This shared office workspace in Sydney is truly well built and the interiors just lighten up the mood. 14/10 Market Ln, Rouse Hill NSW 2155, Australia. Contact: +61 439 500 064, +61 410 315 996. A daily pass at George Street costs $60 compared to the Rouse Hill Town Centre location which is cheaper by almost $15. Flexible tables at both the locations are similarly priced and range from $210 to $500 a month. Coming to the fixed dedicated seats, you will have to shell out $950 at George Street whereas your options at Rouse Hill Town Centre start for as little as $600 and go all the way up to $1300 a month. 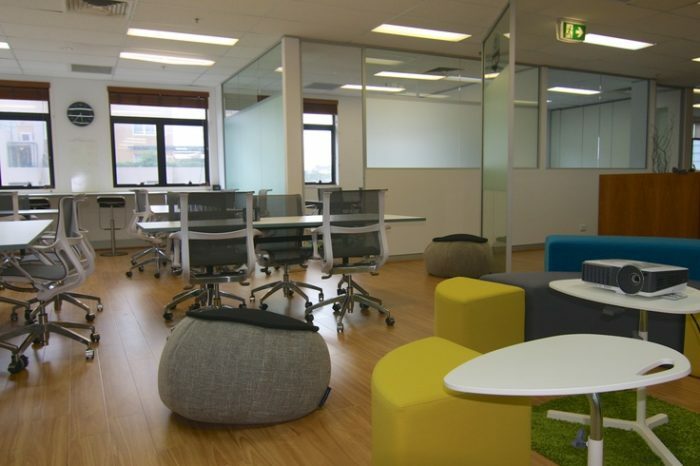 If you are looking for a temporary office space in Sydney then WeCo is something you should totally have on your list. The shared office space is centrally located and is just a two-minute walk from the Edgecliff Station. The interesting thing about their memberships is that they are pretty flexible and can be transferred to someone else anytime. This coworking space definitely gives you the chance to be a part of a like-minded community which helps you to build your network. Their $300/10 day flexible pass allows you to use the space 10/3 months and comes with no meeting room hours. 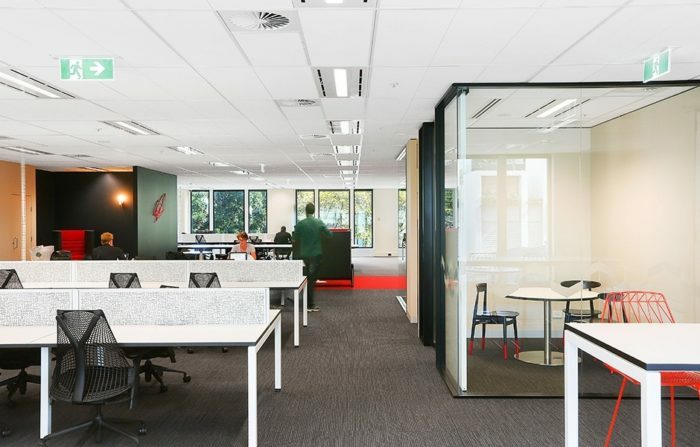 A part-time membership at this coworking space Sydney costs $340 per month and grants you access 3 days a week with 3 hours use of meeting rooms. Full time benefits include 5 days access every week and 5 hours meeting room usage. It comes at a price of $499 each month. However, if you are 2 co-founders then the same benefits come to you at $900. Sydney has become a hub of coworking spaces. There are many more options to choose from but to give you an idea, we listed the most famous ones. 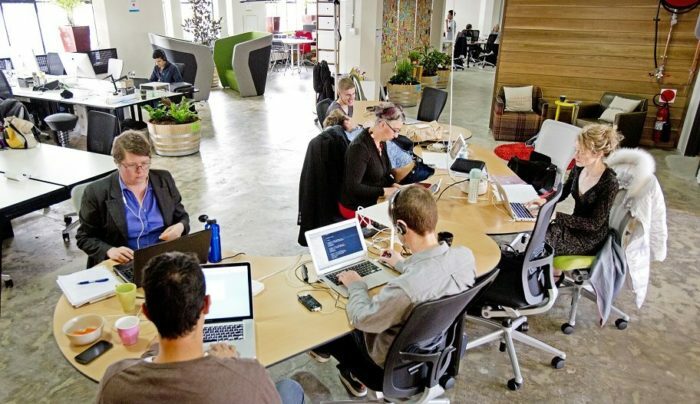 People generally forget to acknowledge the fact that renting these startup office spaces Sydney saves them a lot of overhead charges like paying for good speed internet, printing machines and papers, and other electronic equipment which are shared among all the people these temporary office spaces. Some of these places provide the option to avail a daily membership for as low as $10 a day making them one virtually free coworking spaces in Sydney.